author. freelance writer. host of joy radio. Trudy Harris, RN, is the author of the popular Glimpses of Heaven and More Glimpses of Heaven. Although now retired, she was a hospice nurse and president of Jacksonville's Hospice Foundation for Caring where she raised more than $45 million in capital contributions.Trudy blogs for Guideposts Magazine, and recently posted a review for BELIEVE. June, 2014 Chicken Soup for the Soul: Recovering from Traumatic Brain Injuries was released on June 24, 2014. 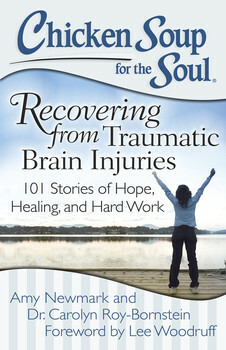 I’m so honored that my story “The Making of a Miracle” was chosen as one of the 101 stories that cover the entire journey—from the injury and diagnosis through treatments, rehab and getting back to everyday living. July, 2014 Pattie Welek Hall on Lowcountry Live!, author spotlight. December 13, 2001 Book Interview with Sylvia Ramsey. Getting to know Pattie Welek Hall and her books. August, 2015 Bonnie Compton, Wholehearted Parenting Radio, interviews Pattie Welek Hall. 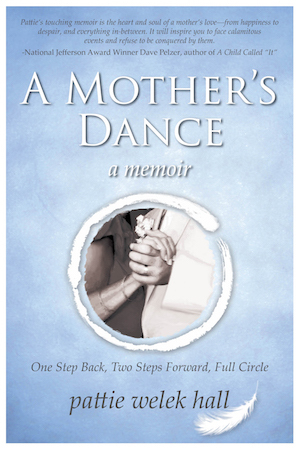 August, 2013 A Mother’s Dance: One Steps Back, Two Steps Forward, Full Circle won short list finalist, narrative non-fiction, at the William Faulkner-William Wisdom Creative Writing contest. April, 2010 Visit my YouTube site. April - June, 2011 Read my latest article here featured in Grief Haven's 2011 quarterly newsletters - Parent's Journey and Sibling's Voice. Scroll down to the third story,page 4, and read the article titled, "Believe." A MOTHER'S DANCE featured in Sept. on @AmazngDeals for $1.99. https://t.co/W3Vn144yuU Thank you for your support! @pamplicolibrary Thank you for the follow. @KathyPooler Thank you sweet lady for interviewing me and for also included part of one of the answers. You are the best of the best!